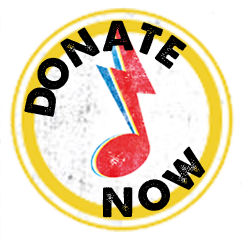 Click here to search through needs for how you can help Colorado music classrooms. Submit your music needs to be matched up with music deeds. Note: We are unable to serve individual home school parents at this time. Only available for K‑12 schools in Colorado. Reeds, mouthpieces, mutes, cases, percussion mallets, drumsticks, music stands, instrument storage, etc. How many of each instrument? If you already have a username and password, use the login form in the left sidebar to log in and edit your entry. Make a note of your password so you can log in later to edit this music need information. Before you submit your request, please be prepared to respond to community members who reach out to you directly to donate either product or services. It is the responsibility of your school or organization to screen potential volunteers who may interact with students. Take Note Colorado (and its parent organization, Colorado Music Coalition) is not liable for the cost of broken or malfunctioning instruments. Take Note Colorado does not screen participants in the Music Match program. Using the Music Match program is at the users own risk and by using the Music Match program, users agree to release Take Note Colorado from any liability arising from a transaction or exchange facilitated through the Music Match program. Take Note Colorado strongly advises that you only accept donated instruments that are in good working condition unless you have a repair budget to cover refurbishing. Please edit or delete posts once your requests have been fulfilled. Yes, I accept these terms and conditions. This feature is for use by Colorado K‑12 educators only. You must be able to select one of the options under “School Type” for your submission to be eligible for posting. Please complete the form using the email address provided to you by your school or organization (ex. Music_Teacher@dpsk12.org).